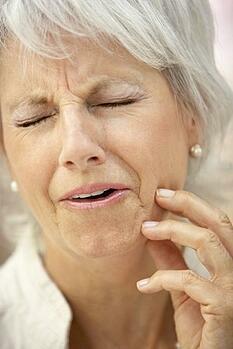 The sharp pain or the throbbing ache in the tooth is usually called toothache. It can be caused by many things like cavities or tooth decay, infection in the gums, broken or fractured teeth, abscessed tooth or a damaged filling. Severe toothache can lead to swelling around the tooth, headaches, earaches, fevers, foul odor from the mouth and terrible tasting drainage from the infected tooth. It is advisable to see a dentist right away in case you experience these symptoms or the pain is excruciating and/or lasts for more than a day. Toothaches are mostly caused because the nerve of the tooth is being irritated. However, there are many other reasons that can lead to horrible toothaches. Dental abscess is a severe form of tooth infection. It causes the area around the tooth to swell and can be extremely deadly. This kind of an infection arises when the teeth and are gums are neglected for a long period of time and they start to decay which worsens over time. The bacteria present in the decaying teeth causes the infection in the tooth and the surrounding area. Dental abscess is known to cause severe toothaches and also affect the rest of the body. The bacteria are capable of traveling from the mouth into the blood and then the heart where they can damage the cardiac tissue through infections. Poor oral hygiene can cause tooth decay due to the buildup of bacteria in the mouth. A large amount of tooth decay can weaken the tooth as the bacteria penetrate the enamel of the tooth. This can cause extreme pain in the tooth. Getting your wisdom teeth can be a painful experience. In case there is a limited amount of space at the back of your mouth for your wisdom teeth, they will push other teeth closer together to create space. There are some cases where the wisdom tooth does not emerge. This is called an impacted tooth. This can cause unbearable toothache and usually surgery is required to correct the problem. The enamel may be a hard surface, but over time it can wear down. This can make it vulnerable to tiny cracks that grow bigger with time. A cracked, fractured or chipped tooth can result in severe toothache, but the fault in your tooth may not be visible to you. It is important for you to get it checked out by a dental specialist to prevent the crack from breaking the tooth and making matters much worse. Toothache is not essentially caused by the tooth itself. Sometimes the actual reason for the ache can be the gums that support and secure the tooth in place. Gum disease is the result of bacteria buildup in and around the gums. This results in pockets that force the gums away from the tooth. 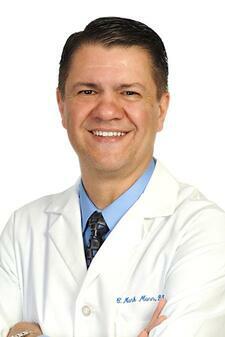 Gum disease is a serious oral problem that can lead to the loss of teeth. So, make sure you visit a trained and qualified dentist immediately to find the cause of the pain and get proper treatment. Tooth sensitivity may be the result of your enamel weakening. And the moment hot, cold, sweet or sour substances touch your teeth you experience sharp shooting pain in your teeth. The pain may not last an entire day, but you get, you should get your teeth checked out by a dentist. Even knocked out fillings can cause tooth aches, so make sure you are careful. It is important to get medical assistance in the event of toothaches. A visit to the dentist can help alleviate the symptoms of a severe toothache and also prevent dental infections from spreading to the face, skull quite possibly even the bloodstream. For expert treatment of extreme toothaches schedule an appointment with the best in class dental specialist at Mann Dental Care.